Mark Smith was an engineering student in the early 1980s when he received a piece of advice that would determine the direction of his career. “A professor mentioned how critical access to capital is in the energy business, and that planted a germ of an idea in my head,” says Smith, senior executive vice president and chief financial officer for California Resources Corporation, an oil and natural gas exploration and production company focused on high-growth, high-return conventional and unconventional assets exclusively in California. After working as an engineer during the years of the energy crisis, Smith saw what his professor meant firsthand, and decided to do something. “I went back to grad school, got an MBA in finance, and pursued a job at one of the major financial institutions to better learn about the capital formation process,” he says. Smith worked for Bank of Montréal for close to fifteen years, during which time he gained experience in public and private debt and equity offerings, as well as mergers and acquisitions. But then, in 2001, Smith decided it was time to put his knowledge to work in the energy industry. After stints at Gulf Liquids and J.M. 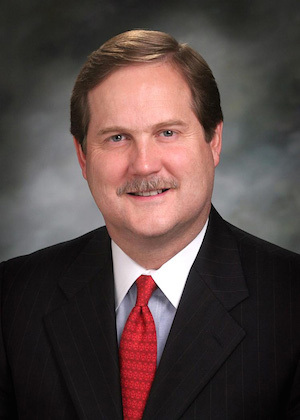 Huber Corporation, Smith joined Houston-based Ultra Petroleum, an oil and gas exploration company, as chief financial officer in 2005. When Smith came into the position, he began working to get the right people in the right roles. “Don’t ever underestimate the value of a good hiring decision,” he says, noting that when he joined Ultra Petroleum, there were some talent-related challenges. Over time, however, Smith brought in a controller, and together they worked closely to choose an assistant controller. Those two decisions led to additional good hiring decisions, and when Smith left Ultra Petroleum in July 2014, it had a strong accounting and financial reporting group that Ernst & Young reported to the board is best in class. Keeping a strong team motivated at any company in the oil and gas industry is another story. Smith notes that however high-performing such a team is, it is often engaged in very mundane activities, because it’s working in an increasingly regulated environment. “It often seems like we’re doing compliance for compliance’s sake, and motivating a high-performing team in the face of heightened regulatory compliance requirements is one of the biggest challenges I face,” he says. Smith has learned a lot about management along the way, working hard to round out his leadership style. Growing up on the technical side, he had a strong tendency to focus on what he called “the task,” or the hard data. And in an industry like energy, where prices fluctuate based on supply and demand, that’s important. Two years ago, for example, natural gas prices were at historical lows, forcing Ultra Petroleum to cut capital spending from just more than $1.5 billion in 2011 to $835 million in 2012 and $385 million in 2013. Smith believes that it’s important to look deeper when problems arise, a philosophy he developed almost fifteen years ago after attending an executive development course at Harvard University. Whatever Smith did at Ultra Petroleum, along with the rest of the management team, it clearly worked. After cutting its spending, debuting a public fixed-income offering, and making a significant acquisition in December 2013, Ultra Petroleum is anticipating impressive numbers in 2014. Smith expects production to increase 6–8 percent, and earnings before interest, taxes, depreciation, and amortization to increase by more than 30 percent. “That’s partly a result of a rise in natural gas prices, but it’s also a result of a significant increase in oil production, which brings with it much higher margins,” he says.